Staycation: Shop Local + Eat Local! Please Share our posts, send emails and tweet our invitation to Shop Local + Eat Local. Memorial Day is usually a holiday when people go out of town. 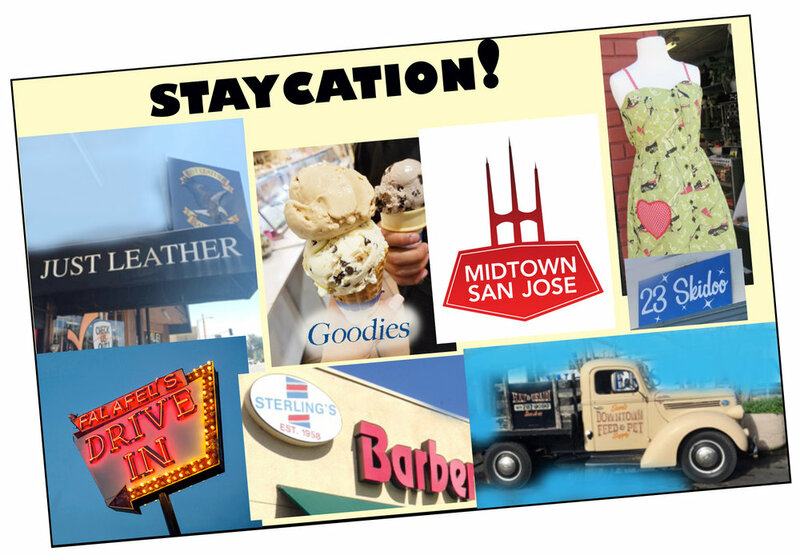 Let's encourage customers to stay in town, and find our fun ice cream parlors, brunch venues, midcentury furnishings; and get a great workout and a better haircut!